October is National Spinal Health Month, offering Californians of all ages the chance to learn more about how to protect themselves from spinal cord injuries and keep a healthy spine. Back and spine injuries are among the catastrophic injuries that are the most difficult and expensive to treat. Even relatively minor back or spine injuries may require an extended time to heal and impair your functioning in a number of ways. Practice safe lifting. Bending from the waist, especially when picking up heavy objects, increases your risks of spinal injuries. When lifting, engage your abdominal muscles and bend your knees to lift with your leg muscles, not your back. Exercise for a healthy spine. Adding exercises to improve your core strength, work on flexibility, and cross-train your body all help improve spinal health, which protects your back and may reduce the severity of your injuries in an accident. Avoid straining or jerking your back or any other part of your body when you exercise. Wear supportive shoes. Wearing shoes with cushioned, supportive, non-skid soles can help protect your back and spine, especially if your job requires you to be on your feet for extended periods of time. Our experienced San Diego spinal cord injury attorneys can help you protect your legal rights and seek the compensation you need after a back or spinal cord injury. For a free and confidential case evaluation, call us today. Studies of spinal cord injuries suffered in car accidents have identified several key factors. Improper seat belt use, rollovers, and vehicles with a higher center of gravity all increase the risk that someone in the vehicle will suffer a catastrophic spinal cord injury during an accident. A study published in the journal Accident: Analysis and Prevention found that 70 percent of spinal cord injuries suffered in car accidents occurred during a rollover accident. Thirty-nine percent of those injured in these accidents suffered spinal cord damage when they were involved in a vehicle ejection. 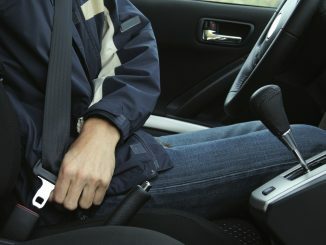 Only 25 percent of spinal cord injury survivors were wearing a seatbelt at the time of the accident. Seat belt use is the key to preventing spinal cord damage in car crashes, but using seat belts properly is just as important. A 2011 study in the World Journal of Pediatrics found that spinal cord injuries were reduced when vehicle occupants wore seat belts with shoulder harnesses, instead of wearing a seat belt across their laps only. The study also found that people who relied solely on the airbag, instead of both the airbag and seat belt, were more likely to suffer damage to the cervical spine – the type of damage that can cause permanent paralysis. 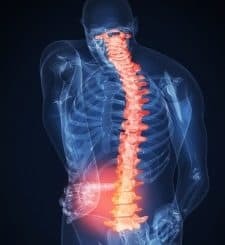 Spinal cord injuries are just one of the types of catastrophic injuries a severe car accident can cause. If you or someone you care for has suffered such devastating injuries, the skilled San Diego spinal cord injury accident attorneys can help. To discuss your situation with us, contact us today. 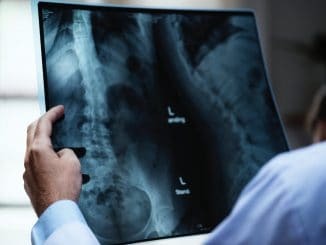 While modern medical treatment can cause full recovery from a variety of injuries, even the most sophisticated treatment cannot undo the damage caused by many spinal cord injury accidents. Accidents such as falls and car crashes in San Diego have violent impacts which can cause long-term and possibly permanent damage that alters how a person’s body functions. The spinal cord is commonly injured by being twisted, extended, or compacted in an unnatural way that damages it suddenly. Additionally, swelling or broken vertebrae can put pressure on the cord or pierce it, which can cause temporary or permanent damage depending on the severity of the injury. The spinal cord is categorized into sections, and injury to each section has different effects. The higher the injury, the more widespread the effects, with all injuries that would result at a lower level also occurring when injured at a higher point in the spine. Starting at the neck, this section is separated into levels C1 –C7 based on the vertebrae, with the highest injuries affecting neck movement and breathing through the lowest, which affect the shoulder, arm, and hand movement. Beginning at the high back and continuing to the lower back, this section includes T1 – T12. Injuries here affect body control of the abdomen and trunk below the arms when they occur high in the section and partial loss of abdomen and trunk muscle control when they occur lower. The bottom portion of the spinal column and tailbone is made up of sections L1 – L5 and S1 and S2. Injuries here affect various leg muscle control abilities, bowel and bladder control, and sexual function. 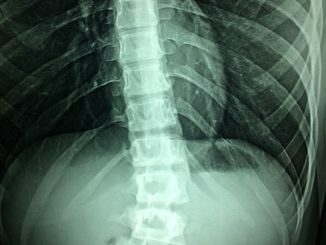 While some spinal cord injuries are temporary or only have a limited effect on an accident victim’s body, many others are permanent and have widespread effects. In either case, victims have the right to seek compensation for their losses from at-fault parties and should immediately seek experienced legal help following an accident. The San Diego spinal cord injury lawyers can aid you in your case and apply their years of experience to your lawsuit. Contact us today for a consultation.